Berg Twins: Lots of New Toys! 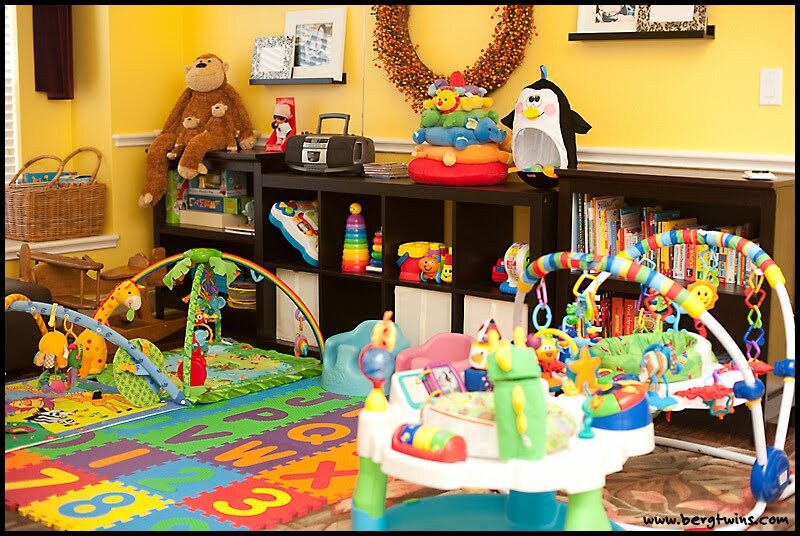 The boys received alot of toys this Christmas... making their playroom much more colorful than before! At only 5 months, they boys are already fighting over things... one always prefers the toy the other one is playing with. 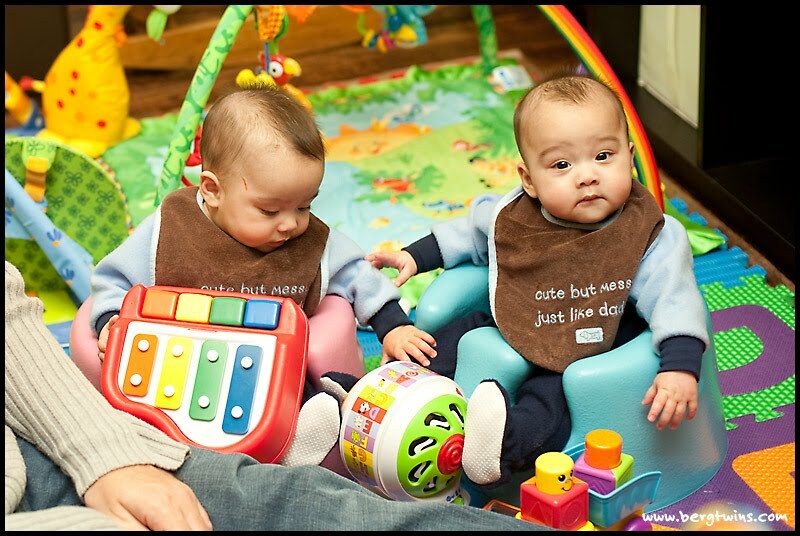 Here is Benjamin reaching for the toy infront of Bryce even though he has a perfectly nice little piano on his lap. Bryce looks like he's saying, "See, mom, I'm the good child." Goodness, don't you just want to pinch those cheeks? That look Benjamin is giving his dad is priceless... I wonder what he's thinking!